A lot of parts and batteries for Siemens PLC controls Siemens Simatic® available. Interesting prices and fast delivery. 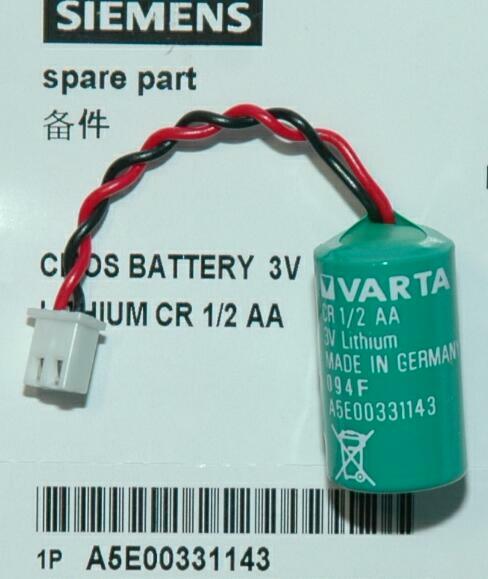 You are searching spare parts - it will be available from us worldwide. Good prices, even if the production is ceased. 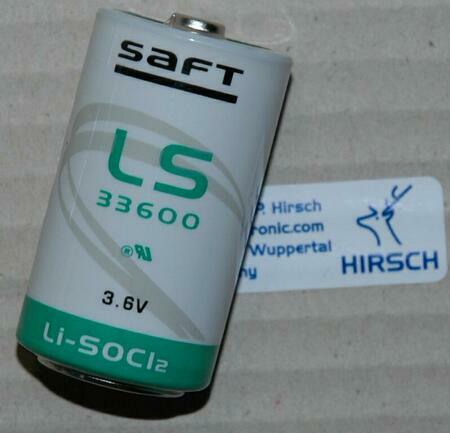 back-up battery for Siemens Simatic S5-95U, S5-100U. The battery saves the memory / software if power supply is shut off. brand new, 10 years stockable. 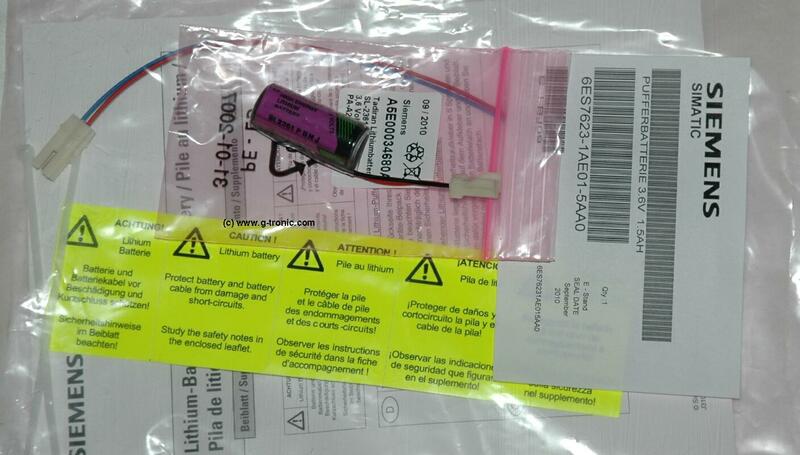 back-up battery for Siemens Simatic S5-90U, S7-300. brand new, 10 years stockable, with soldering lugs - without cable and plug. 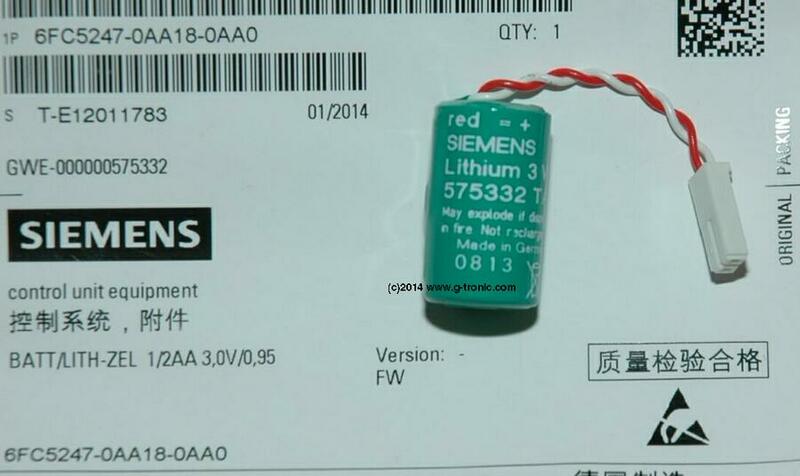 back-up battery for Siemens Simatic S7-300: Simatic S7-312, S7-313, S7-314, S7-315, S7-316, S7-318. 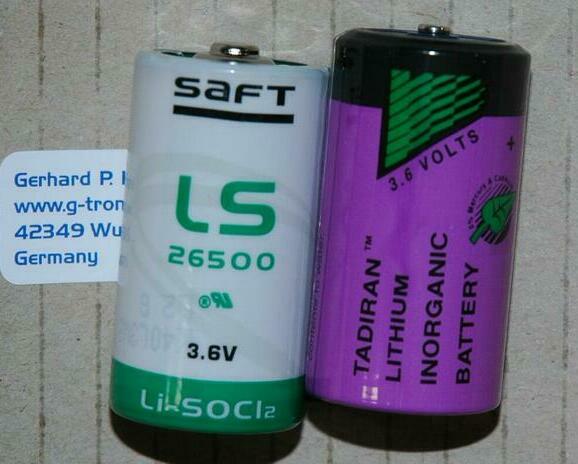 Replacement for Siemens 6ES5 980-0MB11, Dantona COMP-292. brand new, 10 years stockable; with cable and plug. 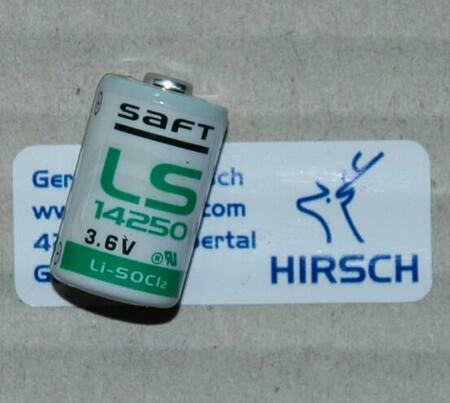 back-up battery for Siemens Simatic S5-110S, S5-115U/H/F, s5-132U, S5-150K/S. fits in: 928B, 6ES5 955-3LC41. 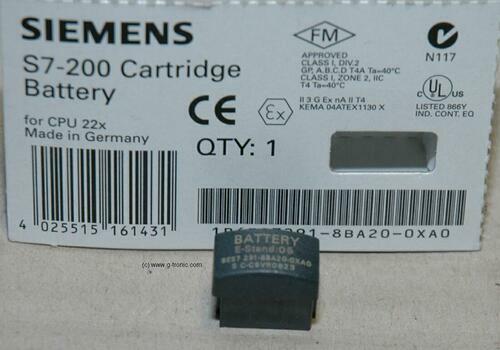 Please check your type exactly, because differnet types of Siemens boxes use different batteries - if not sure, ask to us. 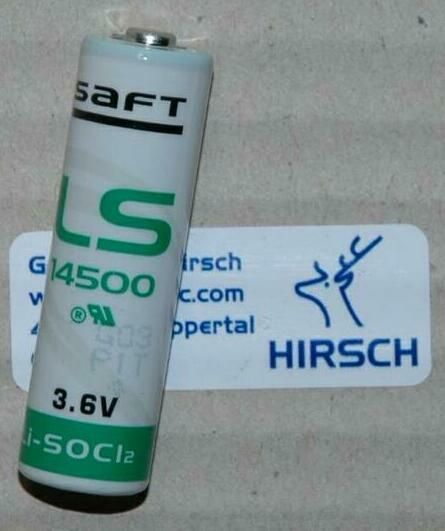 back-up battey for Siemens Simatic S5-130K (6ES5 950-3AA51), S5-130W (6EV3 053-0DC), S5-130WB (6EV 053-0DC), S5-150K/S (6EV3 053-0DC) Please be attention because of different types. If not sure, ask to us. back-up battery for Siemens Simatic C7-623, C7-624, C7-626, C7-633, C7-634. brand new, 10 years stockable; with cable and plug (as on the photo). 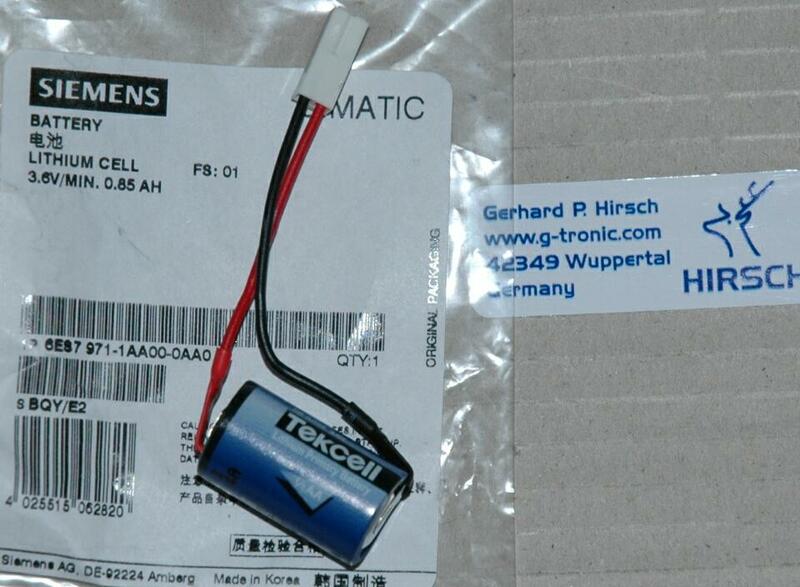 back-up battery 575332TA for Siemens Sinumerik MMC, NCU, CCU, D4X5-X, MCI-BOARD, Simotion D425, D435, 810D, 840D. brand new, 10 years stockable; with cable and plug XHP-2. 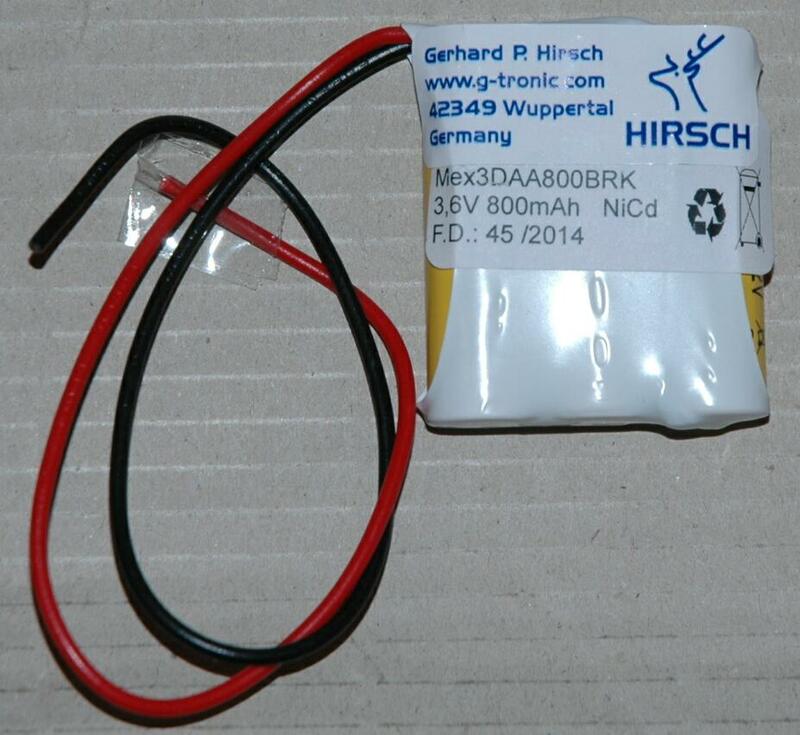 back-up battery for Siemens Simatic OP5, TD17, OP17, OP25, OP27, TP27, OP35, OP37, TP37, OP270, TP270, MP270, MP270B, MP370; all other types of OP15, OP397, except OP15A Siemens order number: 6AV3515-1EB00 OP15B with order number: 6AV3515-1MA00, OP397 with order number: 6AV3515-1MA10 . 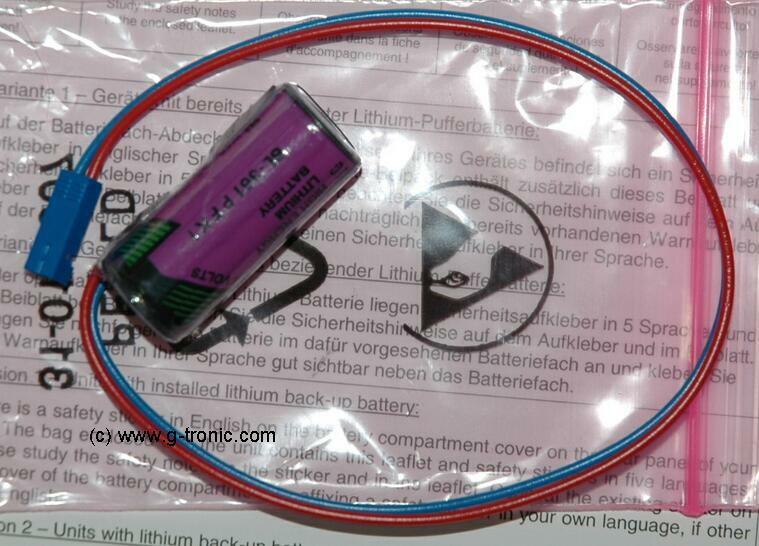 Set includes battery LS14250 with holder and cables for soldering from outside to the button-cell holder. 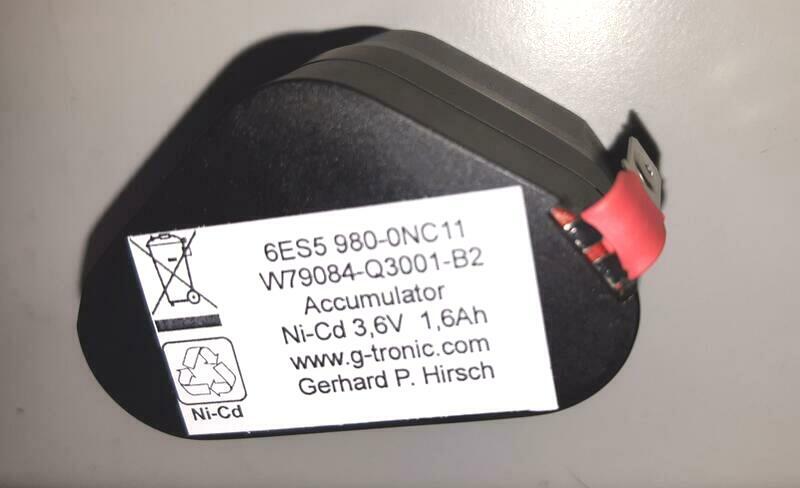 Accumulator-pack for Simatic ZG 188U and EG 185U units. 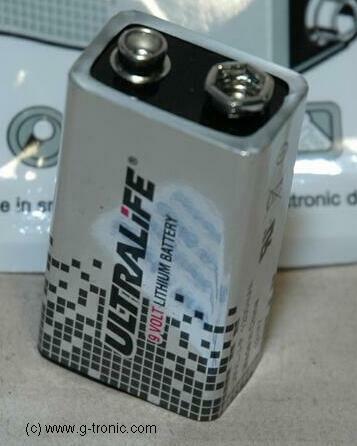 back-up battery for Mitsubishi controls. brand new, 10 years stockable, with cable and plug. 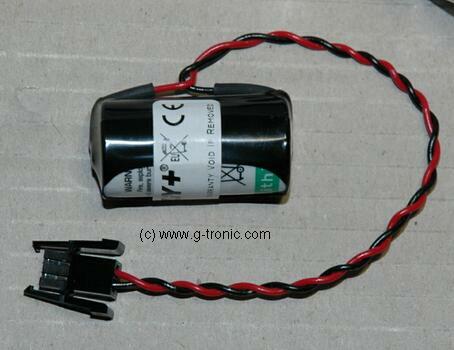 rechargeable battery pack for Biglia controls. The accumulator saves the memory / software if power supply is shut off. brand new, with cable, without plug. Prices include packaging, prices do not include transport.